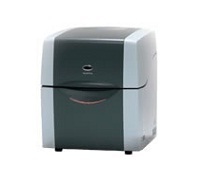 Shimadzu’s MultiNA simplifies gel electrophoresis and easily performs DNA and RNA nucleic acid size confirmation and quantitation. Through the use of microchip technology coupled with fluorescence detection, high-sensitivity and high-speed analysis has become a reality!!. MultiNA automates analysis upto 108 loaded samples offering high repeatability of predicted size values. The sophisticated reusable microchip with extremely fine flow channels and electrode patterns created in a quartz substrate using MEMS (MicroElectro Mechanical Systems) technology, achieves lower running costs for consumables per analysis than agarose gel electrophoresis. Users can easily set up the samples and the separation buffer for automated analysis of upto 120 samples. Upto four microchips can be installed for parallel processing of analysis pretreatment and electrophoresis, resulting in a processing speed of just 80 seconds per analysis. The system permits automated cleaning function allowing the rinsing of the microchips with after analysis. The MultiNA allows correction by internal markers and ladder standards resulting in highly reproducible size data. The software automatically handles mobility corrections utilizing the markers, the size calibration curve from the ladder peaks and sample size prediction. The software also allows the registration and set up of user’s own ladders as well as commercially available ladders. The LED-excited fluorescence detector is 10 times as sensitive as ethidium bromide staining. Good separation and clear detection of DNA below 100bp is easily achieved. The Gel images and waveform data are saved as image files and the Viewer allows parallel display of analysis data from different times and dates. Numerical data can be output as a csv file for analysis by Shimadzu Autofinder option. 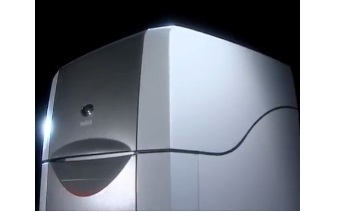 The MultiNa can be used widely used for genetic research as well as food analysis, genotyping, microbiological analysis, infectious disease analysis and RNA analysis. DNA analysis by qualitative PCR using MultiNA helps in detection of allergenic substances such as wheat, buckwheat, peanuts, prawn or crab in foods. An example of application to genotyping is identification of Thunnus using PCR-RFLP method where the tuna-specific genetic sequence in mitrochondrial DNA is amplified using PCR. The amplified DNA is cleaved with a restriction enzyme and the pattern used to identify the tuna species. Multiplex-PCR is another application used in identification of different rice species, a key requirement in the food industry. Identification of Rice Varieties by Multiplex-PCR with MCE-202 "MultiNA"
Rapid Identification of Meat Species with the MCE-202 "MultiNA"